Named after the camouflage technique famous for its clashing angles, the Razzle Dazzle textile range was created by Sylvain Willenz for FEBRIK. Duck and goose feather 75%, down 25%. 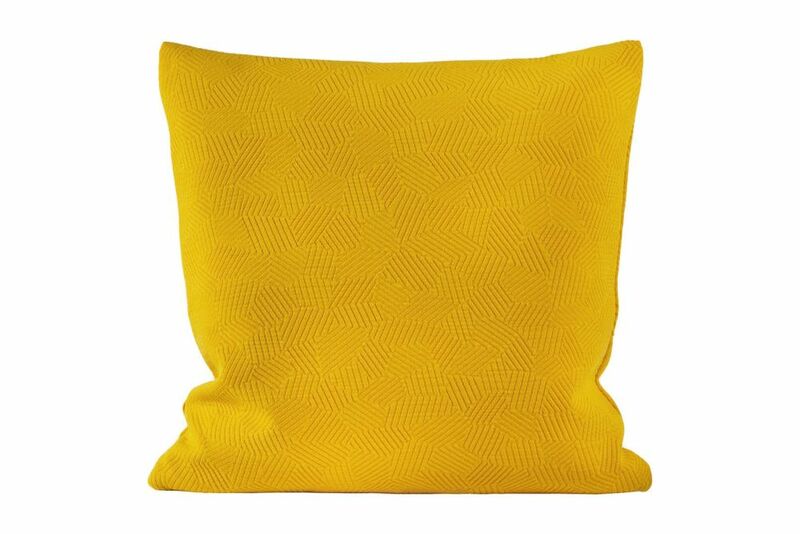 Hem has used these striking materials as the covers for Storm, our delightfully inventive cushion collection. Available in eight different colours ranging in tone from subtle to strident, the cushion’s fabric is made using a 3D knitting technique that conveys extra depth and richness.